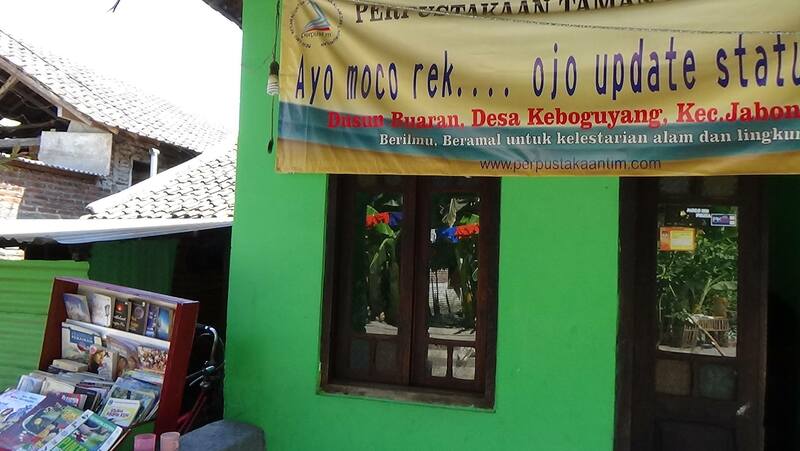 Mrs. Imadul Mar’ah set up this education space two years ago with her husband. This location is near to where the Lapindo mud disaster took place. Her initial mission was to help students improve their academic performances. She helps them revise school subjects.There are currently around forty students who come on daily basis. Apart from taking lessons, children also have access to a small library. Mrs. Imadul Mar’ah says, that the reason for applying for our Eco-Education program is to change the mindset of children. She wants them to throw rubbish in the bin and keep the environment clean. She wants to make sure that these children are not ignored. She adds: “As they are still children, they need to know the importance of protecting their environment.” – especially when they have witnessed such an environmental disaster. The Lapindo mud area is getting bigger and bigger, which worries them.